Reports suggest Maulana Samiul Haq was resting in his room. His guards and driver had gone for a stroll. On their arrival they found Maulana Samiul Haq lifeless in a pool of blood. 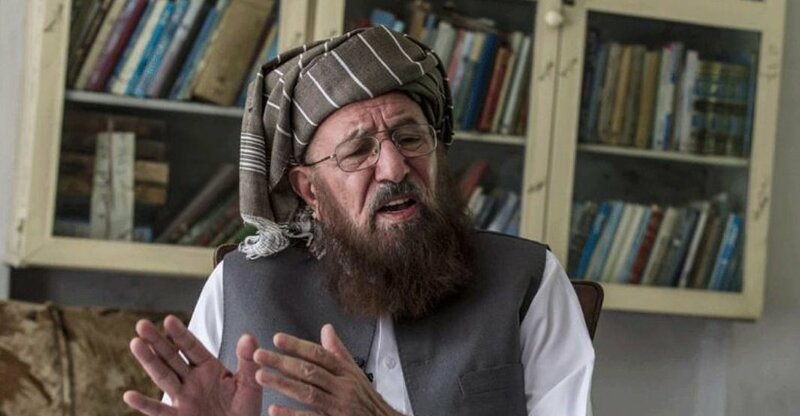 Chief of the Jamiat Ulema-i-Islam, Maulana Samiul Haq has died in an assassination attempt in Rawalpindi, Pakistan. Maulana is also known as ‘Father of the Taliban’. Hamidul Haq, the son of the JUI-S chief, said his father was stabbed to death while he was resting in his room. JUI-S’s Peshawar president Maulana Haseeb has confirmed his death in Rawalpindi. He was the head of the Darul Uloom Haqqania seminary in Khyber Pakhtunkhwa’s Akora Khattak. Haq’s body is being shifted to District Headquarters Hospital. He had been aligned with the ruling Pakistan Tehreek-i-Insaf in recent elections. Prime Minister Imran Khan’s party had sought to work closely with him to implement various reforms and mainstream madrassah education. The story is still developing, further reports to follow.